Hearing David Sedaris read his excerpt about his time working as an elf at Macy’s during the holiday season is one I never tire of. 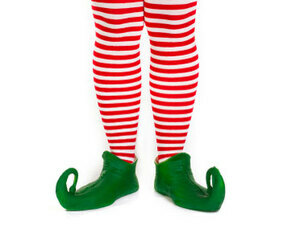 Regardless of what you do on the 25 December, make sure you at least listen to the wonderful anecdotes of Sedaris as Crumpet the Elf dressed in “green velvet knickers, a forest green velvet smock and a perky little hat decorated with spangles.” Available through NPR. Enjoy!